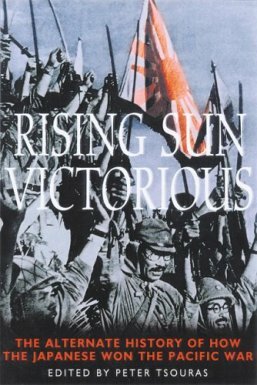 The ten chapters in this book of alternative history present scenarios that differ from what actually happened during the Pacific War. Chapters include Japan's victory at Pearl Harbor, invasion of Australia, and attack on Russia rather than Pearl Harbor. According to proponents of alternative history, these speculative scenarios assist in historical analysis to better understand what actually happened by exploring other possibilities. The authors provide well-researched and documented alternatives of what may have happened if circumstances had varied slightly or if different decisions had been made by military and political leaders. Each chapter includes a combination of many historical facts and some fiction. The authors, all military historians, describe their scenarios with a high level of technical details. As a result, most readers without an extensive prior background knowledge will likely have difficulty to determine where historical truth ends and fiction begins. The chapters each have a short section at the end entitled "The Reality," but this short description of what actually happened still will leave many readers uncertain regarding the factual historical details. In the 20 to 30 pages for each alternative history, the authors emphasize historical details and background rather than telling an exciting story. The last chapter by D. M. Giangreco, who served as editor of Military Review for 20 years and authored 12 books on military and political topics, describes a scenario where the dropping of four atomic bombs on Japanese cities did not cause the Japanese government to surrender. Japan hid away many kamikaze planes in preparation for the invasion of Kyushu, Japan's southernmost main island. The U.S. invaded Kyushu on December 10, 1945, and the Japanese decided to expend the bulk of their kamikaze aircraft during the first ten days of the invasion. The press called the invasion "Pearl Harbor II," since 38 troop-laden Liberty ships and LSTs, 20 destroyers, and 21 other vessels were struck by Japanese aircraft in the first two days of the invasion. The kamikaze planes had much more success off Kyushu in comparison to the Battle of Okinawa because they only had to travel short distances and because they could evade search radars with Kyushu's mountains. Six shinyo speedboats loaded with explosives also crashed into American ships in the first two days of Kyushu's invasion. Another chapter describes the Battle of California where Japan planned to use the destroyer Mutsuki as a special attack ship that would rush full speed into a lock of the Panama Canal and detonate 500 tons of explosives aboard the ship in order to destroy the Pacific entrance of the Panama Canal. The attempt was unsuccessful when Mutsuki sunk after hits from torpedoes fired by an American submarine. The center of the book has 16 pages of historical photographs with alternative history captions. For example, the famous photograph of smoke pouring out from the aircraft carrier Bunker Hill after being hit on May 11, 1945, has the following alternative history caption (p. 111): "Japan, December 12, 1945. Fires rage aboard the U.S.S. Antietam after a Japanese suicider careened into aircraft refueling near the stern. The resulting explosions destroyed additional aircraft on the hangar deck below, but swift action by other crew saved the ship and kept casualties below 600, including 146 killed. Minutes after this photograph was taken, another suicider struck just below the bridge of the U.S.S. Midway cruising one mile to starboard." Almost all of the this book's ten scenarios show that Japan ends up getting defeated without a significant change in the course of the war, although in some Japan can negotiate better peace terms than those imposed in the unconditional surrender that actually took place. Although alternative history has its niche, the reading of actual history seems to be preferred to gain an understanding. I enjoy historical fiction with an exciting plot and memorable characters set in another time, but this book's short alternative history scenarios filled with technical military details were sometimes difficult to get through.